Learn and Appreciate What Master Navigators Have Practiced for Centuries in This Hands-on, Friendly Approach. Celestial navigation, in all its forms, is nearly as old as mankind. Anyone who can master its intricacies stands at the end of a long line of master navigators that is centuries oldan expert among many who would be lost with electronics. 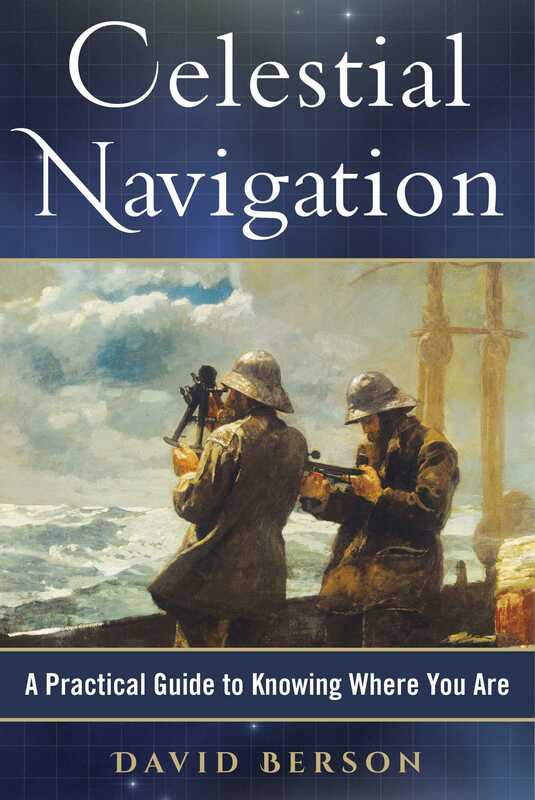 David Berson, a columnist for Ocean Navigator magazine and an instructor at both the Ocean Navigator School of Seamanship and onboard the training schooner Ocean Star, offers here an approach that is refreshing, unique, and sure to attract a new generation of readers looking to demystify this essential art for sailors. Through his hands-on coursework Berson has developed a practical and learnable method of teaching that has appealed to a new generation of students. He will share his proven method here for the first time. While many books on celestial navigation insist this age-old art is needed only when electronics fail, Berson uses a unique approach that allows boaters to combine both the modern and the traditional. No other books does that. In Celestial Navigation, as he does in his popular column and classes, Berson simplifies the math that so often frightens and deters potential students. Berson takes the same approach with his writing that he does with his classes and columns,informal true-life anecdotes that entertain as well as educate. To Berson, celestial navigation is personal and valuable. Anyone reading this book will catch his contagious enthusiasm. In addition to books on popular team sports, we also publish books for a wide variety of athletes, including books on running, cycling, horseback riding, swimming, tennis, martial arts, golf, camping, hiking, boating, and so much more. While not every title we publish becomes a New York Times bestseller or a national bestseller, we are committed to publishing books on subjects that are sometimes overlooked by other publishers and to authors whose work might not otherwise find a home.